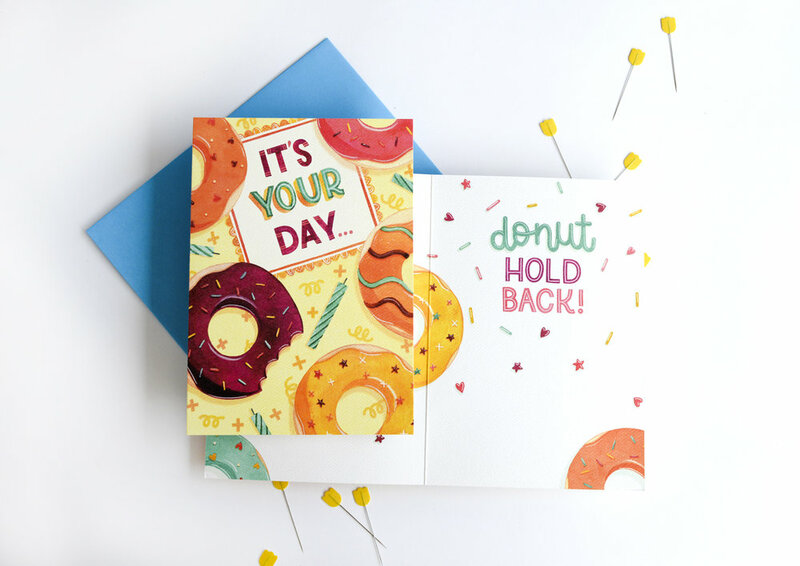 These two greeting cards were created in partnership with Sellers/RSVP Cards. 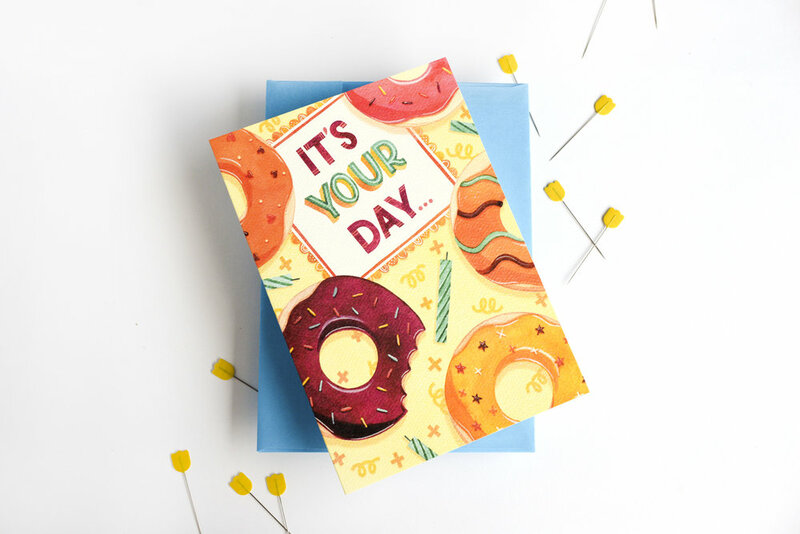 Printed on lush textured paper, the donut birthday card features spot gloss on the detailing, and the lemonade encouragement card features embossed lettering and illustrations. As always with cards published in partnership with Sellers, this card is printed in a 100% wind powered facility on FSC certified paper using soy based inks. It's your day...donut hold back! 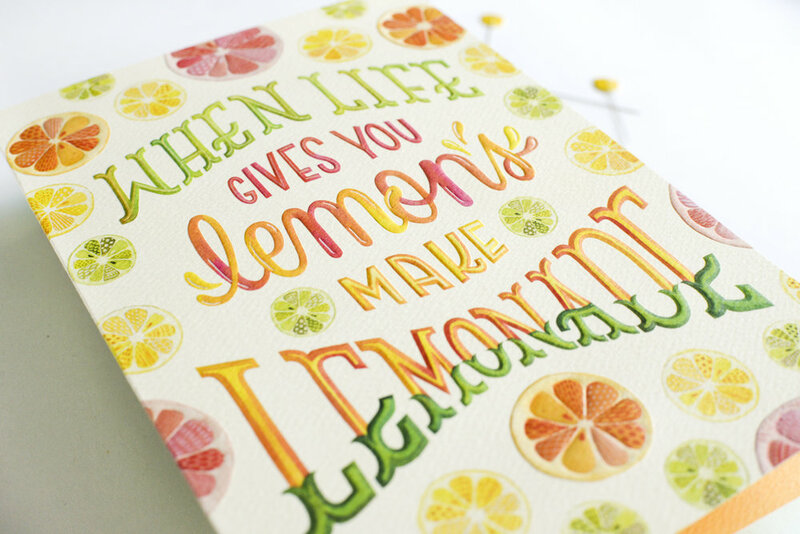 When life gives you lemons make lemonade! Sending you a hug. Better yet, a squeeze! Hang in there.